Jovanka Trbojević (1963, Serbia/Finland) received her basic music education in Belgrade in the Secondary Music School “Mokranjac”. In 1981 she entered the Prague Music Academy and – five years later – took a piano diploma. From 1989 on she pursued composition studies at the Sibelius Academy in Helsinki. Since1997 she has been a full-time composer living in Helsinki. At first she concentrated on chamber music, but in recent years she has worked with larger forms and bigger ensembles. Orchestral work ­Orgone Accumulator, commissioned by the Finnish Broadcasting Company, was premiered in 2007, chamber opera Heart in a Plastic Bag had its premiere performance by OperaNord in 2008, and large radiophonic work CreationGame (Prix Italia prize winner) in 2009. Her latest orchestral work Vertigo, commissioned by Tampere Philharmonics, was premiered in 2011. At present she is composing a new chamber opera, commissioned by Helsinki Chamber Choir. 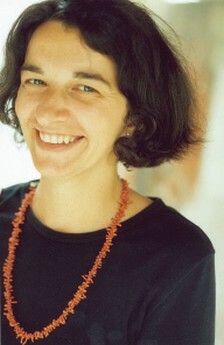 Jovanka Trbojevic’s creative work has been supported by all major Finnish and Nordic foundations. At the moment she is working with a five year grant by the Arts Council of Finland. In addition to concert music, Trbojevic has composed music for dance, music theatre, television and the cinema. This duo is composed for friends of mine. They played many Bartok’s duos for two violins and since I already had the idea, I thought to make some addition to their repertoire. I use Cheremis (Ugrian people of the Volga region, Mari Republic) folk song as a starting point for this piece – some similarities with Bartok?! At the beginning, the song appears in the first violin while the second violin embellishes it. The mood is earthy and energetic. The middle part is Ritual, concentrated on sound and gestures. In the end, the same song appears in the second violin. Now the first violin takes it to another dimension – more airy, abstract, emotional space… The piece was performed for the first time this September at the symposium of AtelierEM in Bratislava.